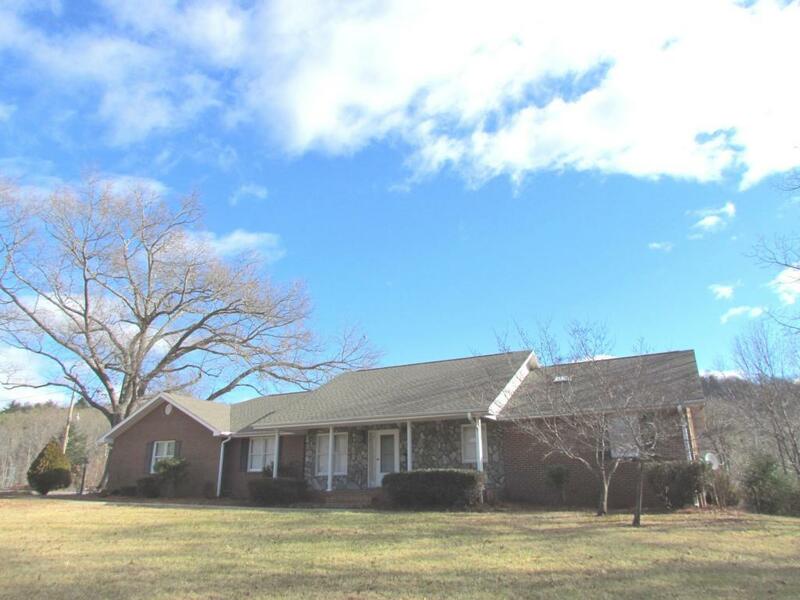 One Level Living on over 1 1/2 Acres in Boones Mill that is very Convenient to Roanoke. All the space you will need inside and out along with Fabulous Mountain Views. This home with 3 Bedroom 3 Full and 1 Half Bath with Master BR, Laundry and Garage all on the main level is a rare find. When you tour this home you will see spacious rooms, vaulted ceilings, and a private feel of being in the country. This home offers Dining Room, Breakfast Area, Large Family Room and 2nd Kitchen Lower Level, Bonus Room Lower Level decorated as Bedroom #4, Bonus Room Lower Level used as Beautician Room, Central Vacuum and tons of Storage Space.